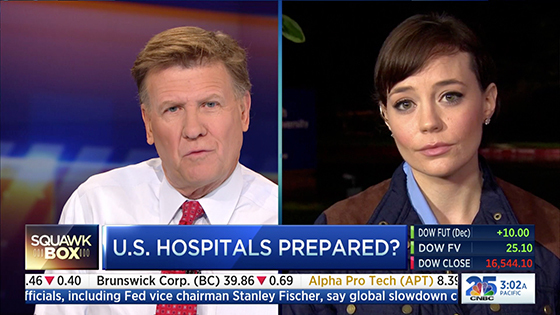 CNBC unveiled a new dayside graphics package today, giving the network a sharper look. 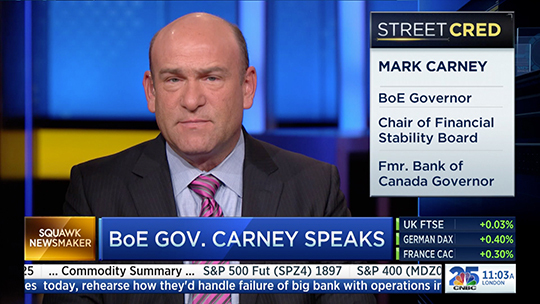 “The powerful redesign features an engaging and improved way to deliver the important content and data CNBC viewers want,” said Jennifer Dauble of CNBC. As a result of the new package, the sidebar is no longer fixed and appears when needed. This is a welcome change, as it allows better shot blocking. Overall the look is clean and polished, a great upgrade for the network.